It's estimated that about 85% of the matter in the universe is missing as the gravitational effects (observed by the rotational velocity or rate of spin of galaxies) point to a discrepancy between the amount of visible matter and the the rotational acceleration of the galaxies. Instead of questioning the underlying concept and assumptions of gravity, scientists go to the other extreme and postulate that the matter must instead be "invisible" to normal methods of observation (i.e. dark matter). To begin with, much of our assumptions about gravity have to do with the amount of matter that we postulate must exist within the earth, where the deeper you go into the earth's center, purportedly the more dense, and hence the more matter that must necessarily exist. 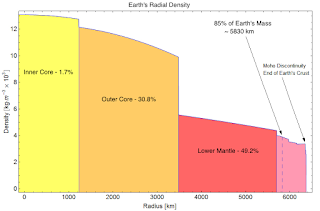 What if, instead we core out 85% of the earth's matter (make it hollow) and then attribute the observable gravitational effects to this less dense earth model? Would this newly calculated mass model have a ripple effect throughout astro-physics which would then correct the offset of gravitational pull with the amount of visible matter? I postulate that it would certainly go a long way in explaining one of the biggest scientific conundrums of our time. Most spinning systems in nature (tornados, hurricanes, cyclones, water vortices, atoms, etc.) are all naturally occurring hollow phenomena. Just try holding onto the center of a merry-go-round. In a spinning system, matter cannot cling to the center of rotation but is spun out to the edge and would continue to fling outward if it weren't for a force to counteract this outward tug. The balancing force, in the planetary scenario, is gravity. Proto-planetary systems all begin their formation having a substantial rotational velocity or angular momentum. Thus, the matter in a spinning system accretes at the boundary where the centrifugal force (due to angular momentum or spinning energy) and gravity cancel out at the point (radius) of null-force or equilibrium. This fact is evidenced by the larger planets in our solar system (Jupiter, Saturn, Uranus & Neptune) having a shorter rotational period (9.9 hrs., 10.8 hrs., 17.3 hrs., 16.1 hrs. respectively) or greater rotational velocity than earth. Effectively, it can be said that these planets are larger because they possessed more angular momentum during their formation. This effect can be observed experimentally by taking a weight on a string and slowly spinning around while standing and holding the end of the string and observing how far from your body the weight flings outward from the center of rotation. With a slower rate of spin, the weight will only move several inches until gravity equals the centrifugal acceleration generated by the system's rotational inertia. As you spin faster, observe what happens to the distance of the weight relative to your body. As you move with a greater rate of spin, the weight finds a new equilibrium point between gravity and the new centrifugal acceleration with a radius or point which is further from your body (the axis of rotation). 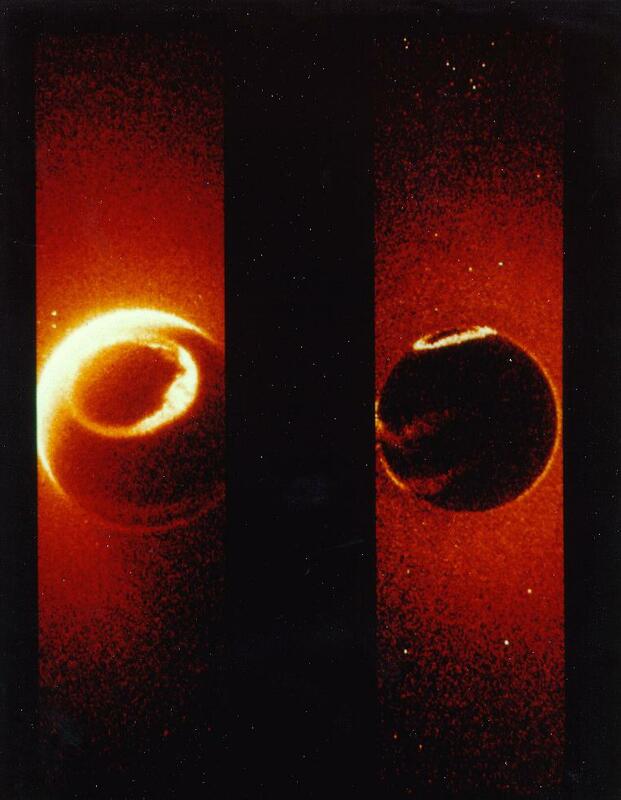 This illustrates the same manner in which planetary diameters and orbits settle out during planetary formation. As the matter in a proto-planetary body coalesces along the equilibrium point between gravity and the centrifugal force due to rotational inertia, it slowly cools and hardens to form a planetary shell. Effectively, planets are bubbles. The sphere is the strongest naturally occurring physical form (not the triangle, sorry). This is why the earth and the moon ring like bells after quakes or some event which effectively strikes them like a hammer to a bell. It's a rather interesting paradigm shift to explore the option that all planets are merely cosmic bubbles floating through space. As such, there is the potential that they can harbor life within the protective confines of their shell. There is estimated to be nearly twice as many jupiter size rogue planets (planets not tethered to a star) wandering through the galaxy than there are visible stars. This greatly multiplies the possibility of life in the universe as we have, literally, only begun scratching the surface in our search for extra-terrestrial life. No more is it necessary for planets to exist in the fabled goldilocks zone but now all celestial spheres can potentially harbor life regardless of their distance from a star. Effectively, planetary objects are spaceships hurling through space. We just happen to live on the outside of our spaceship which is a bit of a mathematical improbability in cosmic terms due to our unlikely fortuitous position or distance away from our central star. you need to create "Electric Hollow Earth Theory" using Electric Universe Theory as a base. EU scientists believe Sun is Hollow! Check Thunderbolts Project and Eric Dollard. Hollow Sun video by Eric Dollard. The Inner Electric Sun of Earth is smaller version of Electric Sun above. Inner Electric Sun is powered by Birkeland Currents from our Sun. The electric universe model is airtight. Hollow planets, too. The whole orthodox scientific establishment is just The Church reinvented... bullshitting the masses and excommunicating free thinkers. Except now instead of god we worship gravity. The dark age never ended. We're still living in primitive times. 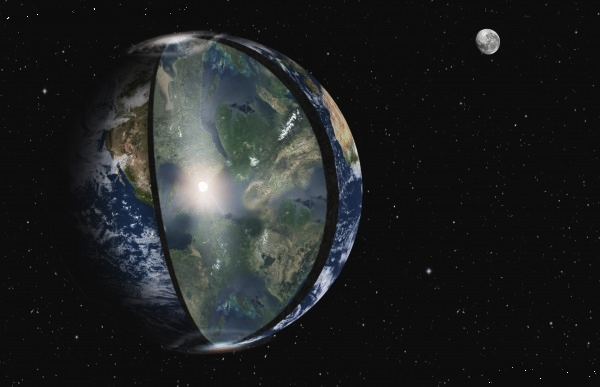 Hollow Planets theory may be airtight but Birkeland Currents from the Electric Sun powering the Planets Inner Electric Sun pole to pole and Electric Gravity needs to be included in the Hollow Earth Theory so it can be explained with Electric Model. Also Polar Vortex need to be included as Birkeland currents are cause of it. Hi, i just came across Starwater Theory which tells us Stars are hollow and are new born planets which will eventually become planets that can support life. if i understand right, Stars create gas inside the hollow interior which eventually converts stars into gas giants, then to liquid and then to solid and then to the death. my thinking is inner electric/plasma sun start to form when stars convert to gas giants and then extreme spin of gas giants will create hollow interior and then conversion to liquids and solids and then the spin slows as it forms stable solid crust which can host life. Its not electric/plasma sun but molten iron/nickel core hovering at the center. core shines in same light as lava. hollow earth theory needs to be updated. this theory stellar metamorphosis doesn't think earth is hollow. i for one think stellar metamorphosis is probably right expect for the part where it doesn't think earth is hollow. earth is hollow because centrifugal forces will throw heavy matter to the edges. and gases have tendency to migrate towards the center so that will also create hollow interior. that's what gases do in absence of gravity, migrate towards the center. Gravity is a push from above, not a pull from below. Newton is wrong partly. Earths electromagnetic field creates this pushing force called gravity from the negative charge or polarity surrounding the earth. also birkeland currents from the sun decides how intense the gravity on earth will be. So center of gravity is in space, not center of earth. center of earth is zero gravity. gravity is not inherent property of matter. 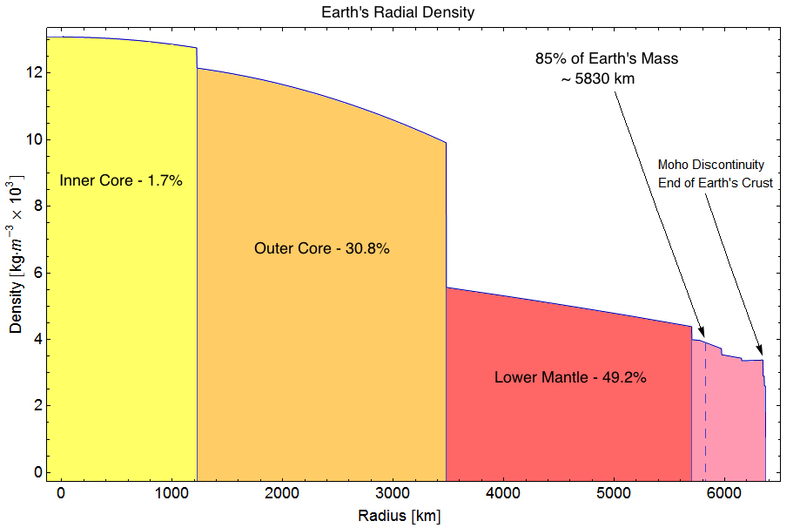 Core of the earth is probably iron nickel core but its also possible its something similar to Farnsworth Star or filled with positively charged ionized gas providing electrons to earths crust and have its own electromagnetic field pushing against earth crust and creating the push gravity from center creating the gravity on the inner surface. basically any theory of star/planet formation that defies or goes against merry-go-round principle and ignores gases tendency to migrate towards the center in zero gravity as center always have zero gravity, not highest. is a theory that is invalid and dogmatic if not religious. ok, stars are new born hollow planets according to stellar metamorphosis. these stars eventually cooling down and shrinking going from blue to red giants, then yellow like our sun, then to red dwarf < star starts developing iron/nickel core at this point and global magnetic field is born, then to brown dwarf, cooling further it becomes gas giant, liquid blue giant (new forming proto-earths), then to rocky planet like earth. well according to stellar metamorphosis, earth can't be hollow but i think author is wrong there because because star/planet goes from very high rotation speed to very low rotation speed as it cools. here's why, according to stellar metamorphosis, stars create gases inside it which eventually leads to formation of gas giant which then condenses gases into hot liquids and becoming blue giant as well as shrinking. liquids cool and form solid crust. remember the planet is still rotating very fast so any formed solid crust will be pulled towards where centrifugal force and pushing gravitational force balances itself. nothing falls on the core itself. solid continents form during the gas and blue giant phase and shrinking further brings the continents together forming solid crust. by the time hollow planet reaches the solid phase and slow rotation speed like our earths, it pretty much have a stable solid crust with vast hollow interior. all life is born inside the hollow planet and eventually spreads on the outside. i also have some doubts that there is iron/nickel core at the center. it could be very well just be positively charged ionized gas with its own magnetic field. remember gases tend to migrate towards the center. this small star provides earths crust with electrons supply, also responsible for creating push gravity on the inner surface. in my opinion, the core star forms, is a whole planet itself, not just the core inside the planet. and the crust is the one generating our global magnetic field and the weak force called gravity pushing us from above generated from the negative charge/polarity. A RARE Hollow Earth Contactee! From the book The Ulimate Reality by Joseph H. Cater. I spoke of this with many people and sometimes in Interviews. The naysayers who point out Mathematics proves the Earth is solid. I retort change the Mathematics for missing matter. Then you find your missing matter and lack of gravity. Is it just me or do you find that those closest to you don't care and don't want to hear about it? Before moving on in my personal spiritual journey, the pastures at church would say, "Don't tempt God be seeking the truth behind his word, but accept the bible as his word. Trust in Jesus Christ our savior." This to me was an attempt to hold us back. Even if they did not know what they were doing. Us so called Blasphemy speaking truth seekers lol. Check Concave Earth Theory. We are the ones live inside Earth. Proof! Your are so correct. Enjoy being a rarity in this world as I doubt this theory will ever be accepted in our lifetime. Thank you for providing something easier to read and understand for thinking people than the fantasy of main stream science. This hollow planet must be a conclusion rather than a theory since we understand centrifugal force quite well. It is also quite obvious that closer to the center of the planet no gravity exists as it is balanced by gravity in the opposite directions and therefore there is no gravity to counter the centrifugal force near the centre. My conclusion is exactly that all spinning bodies must have a hollow core, Gravity is hugely exaggerated by modern science and our universe is of an electric nature and the forces in it mostly electrical and magnetic. Gravity is a small local force on the crusts of the electrically formed spheres. How life emerged on Earth? The old theory is removed.